Dr Uldis Ozolins has an umbilical relation to the Baltic states and the former Soviet Union. As a child he came to Australia with his refugee parents from Latvia, and since 1989 has returned almost each year to visit, work and study. He is past Australasian President of the Association for the Advancement of Baltic Studies and an active researcher and commentator on contemporary Baltic issues. He gained his PhD from Monash University, has taught at the University of Melbourne, Deakin University, La Trobe University and RMIT in several disciplines (politics, philosophy, education, interpreting/translating). He also runs his own consultancy on areas of language, interpreting and translating, and multicultural communication. He has taught and conducted research on Baltic issues at several universities in Latvia and has collaborated with scholars in Estonia and Lithuania. He has a passion for understanding the peculiar tenacity of the Baltic states and their cultures, wedged so often between German, Russian and other forces majeures. 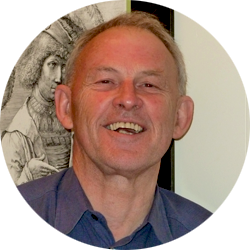 Uldis is currently Adjunct Associate Professor at the Interpreting and Translating Research Group, University of Western Sydney. His consultancy Language Solutions provides advice and project management in Translating & Interpreting and language policy issues. The Politics of Language in Australia. Cambridge University Press, 1993. G. Hogan-Brun, U. Ozolins, M. Ramoniene & M. Rannut. ‘Language Politics and Practices in the Baltic States’. In R.B.Kaplan & R.Baldauf (eds) Language Planning and Policy. Europe v3: the Baltic States, Ireland and Italy. Clevedon: Multilingual Matters, 2008.